The predlets asked me to put the “crashing game” on the xbox today. 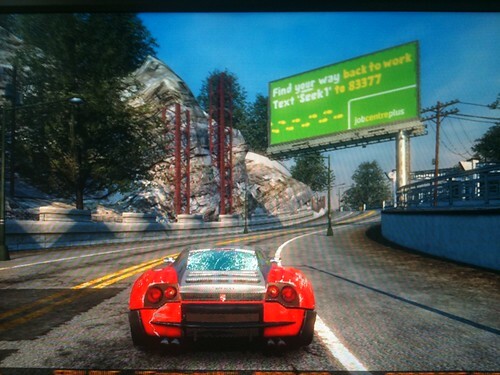 It was odd as we had not played Burnout Paradise for a very long while. It is relatively speaking a very old game but has been kept fresh with all sorts of updates. I noticed too many of my friends list were back playing it so it was all very serendipitous. In particular was the fact that next week I am helping to facilitate an ideas generation workshop with the games industry and government (via Ren Reynolds Virtual Policy Network (tVPN) on how to engage sensibly and interestingly with the population. So there the predlets were driving through the streets of paradise city when I saw these posters served via the in game advertising. 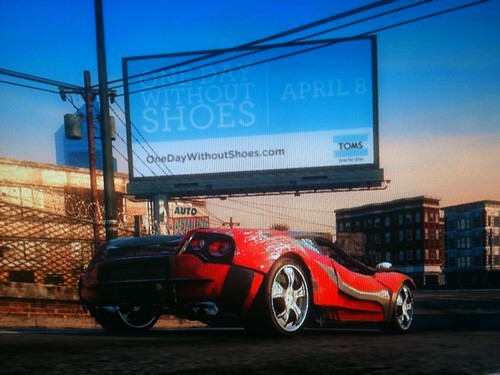 Burnout being a network enabled game the ads tend to be dynamically served and clearly targetted as UK specific ones. So that seems to indicate that the players of video games are expected to be prone to carry a knife, be unemployed and mainly eat burgers? This is the sort of in game placement that makes sense. The billboards keep the view of the city quite fresh, and do not detract from the experience. So apart from the implications of the types of advert targeted at the UK, or maybe just targeted at me it seems a generally good concept. 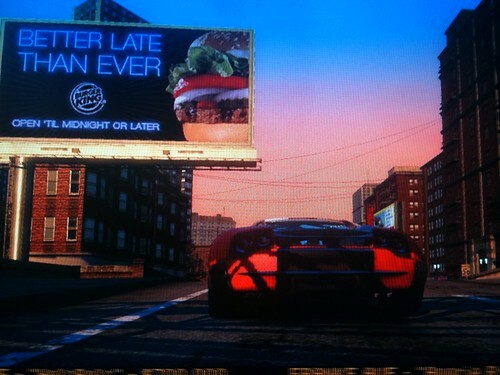 Would it mean though that coming up to a general election all parties would need enough of their own billboards in games to be representative. 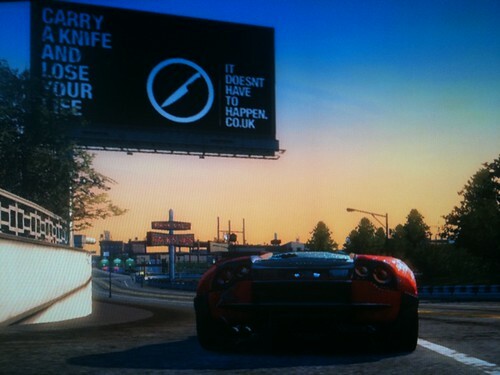 Would it turn gamers off to see the spitting and fighting on billboards? Lets hope we don’t have to find that one out!